Epidemiology is the study of infectious disease. Infectious diseases are said to be "contagious" among people if they are transmittable from one person to another. Epidemiologists can use models to assist them in predicting the behavior of infectious diseases. 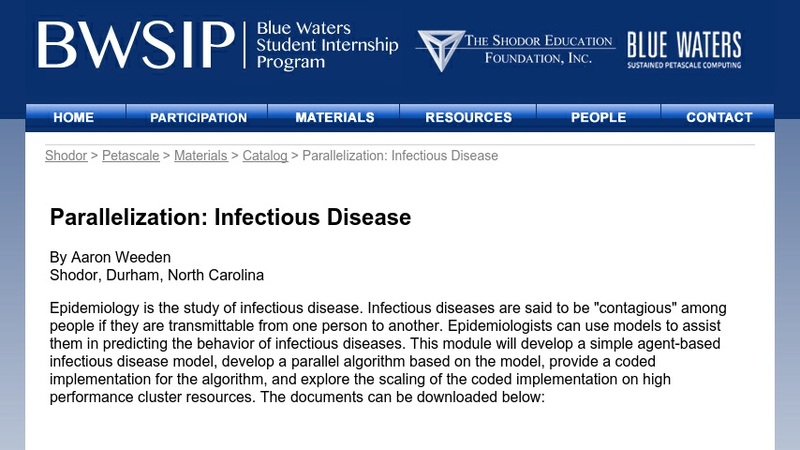 This module will develop a simple agent-based infectious disease model, develop a parallel algorithm based on the model, provide a coded implementation for the algorithm, and explore the scaling of the coded implementation on high performance cluster resources.